Dentures are natural-looking replacement teeth that can be removed. Because dentures are custom-made to resemble your natural teeth, there is typically no noticeable change to your appearance. In fact, dentures may even improve your smile! We are focused here at St. Pete Modern Dentistry on ensuring the esthetic to give you the the most confidence in your dentures. There are two types of dentures: full and partial. Full dentures are given to patients when all of the natural teeth have been removed. Partial dentures are attached to a frame that is connected to your natural teeth and are used to fill in gaps where permanent teeth have been removed. 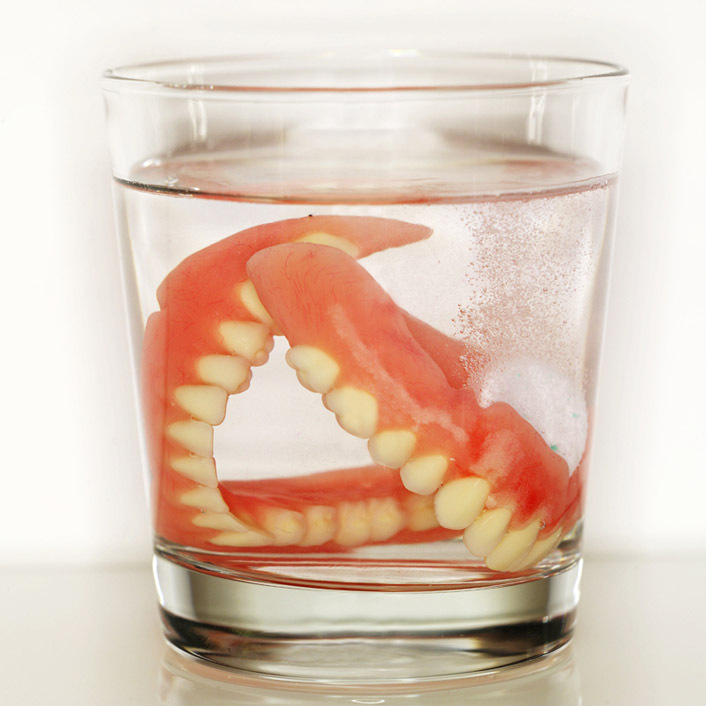 Just like natural teeth, dentures need to be properly cared for. Use a gentle cleanser to brush your dentures, always keep them moist when they’re not in use, and be sure to keep your tongue and gums clean as well. Ask us if dentures are the solution for you!